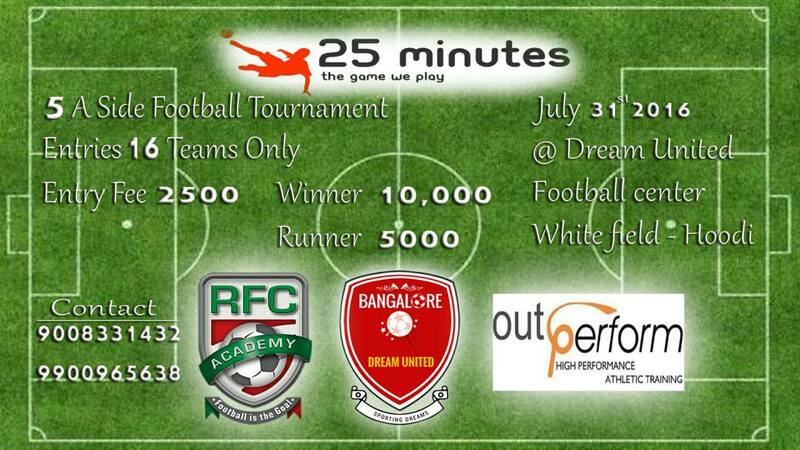 5 a side football tournament at Dream United Football Center Hoodi. 16 teams , 4 groups, league + knock out. 10 minutes per half. top team in the group goes through to semi finals. Best of luck fellas!